Exceptional meals begin with exceptional ingredients. At Pilgrim’s Market in midtown Coeur d’Alene, our Grocery buyers seek out quality products, organic foods and local producers so you don’t have to. We offer a comprehensive grocery selection to help you prepare delicious, healthy meals for you and your family. Pilgrim’s natural grocery staff work every day to offer you the greatest variety of healthful, organic foods, natural products and quality services available. As a result, we carry Idaho’s only certified Grade A raw cow’s milk, 250 plus teas, a wide range of local Northwest producers, ethnic foods, Fair Trade coffees, Fair Trade chocolates and much more. We also consider it important to inform and educate our customers regarding the organic, Fair Trade, non GMO, vegan, vegetarian and dairy free products we carry. 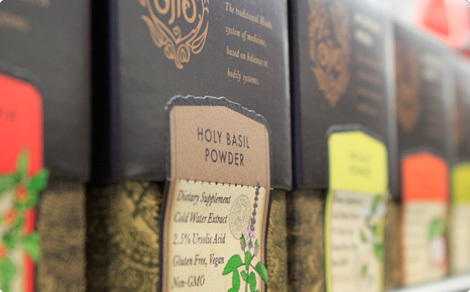 Therefore, we have developed several labeling and shelf programs for your healthy shopping convenience. Look for these tags on Pilgrim’s shelves, for your shopping convenience. At Pilgrim’s, we are committed to quality. Click here to read how we select our products.